The Haut-Médoc appellation covers a vast amount of ground and very differing terroirs. It’s always a bit odd to lump together say Château La Lagune and Château Cantermerle who border [and resemble] the wines of Margaux, with that of Château Belgrave, Château de Camensac and Château La Tour Carnet just to the west of St Julien, alongside Château Coufran, the northernmost Haut-Médoc château, past St Estèphe in St Seurin, but there we are. Overall the best Haut-Médoc 2012s have gone for elegance and balance. Some are quite attractive, others vigorous with plenty of bounce and freshness. Quite a few are a stalky and angular with a fair amount of grip, a bit reminiscent of 2011, so you do need to tread carefully. Again generally I don’t quite see the urgency in picking these up en primeur when there are still lots of 2009 and 2010s on the market for a fraction more. 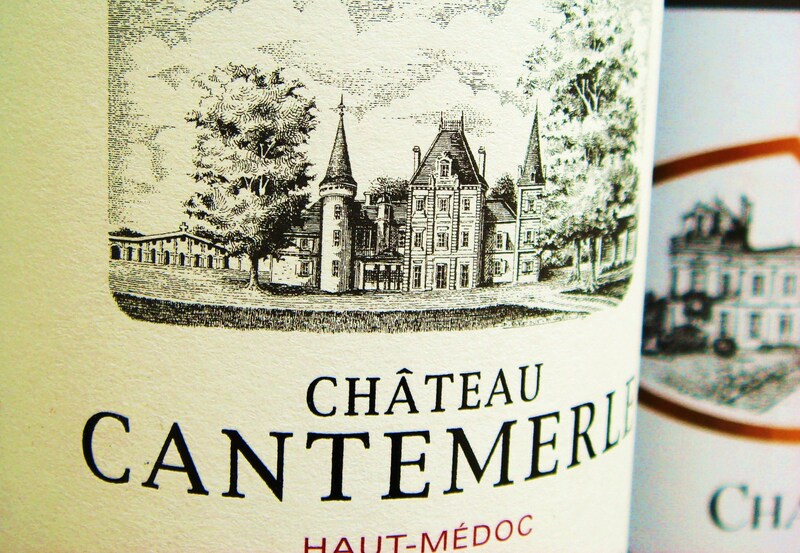 The pick for me was Château Cantermerle who have a very nice offering in 2012 and who have come out at a competitive price that does look interesting [around £200/$300 a case]. Here they described 2012 as the polar opposite to 2011, at least in terms of harvest. They had completed picking 2011 by October 1st, the date when the 2012 harvest began. For them there was no doubt that 2011 was the easier vintage to make, but 2012 looks much better to me than their 2011 at the same stage and should drink nicely early on. Near neighbour Château La Lagune has also come up with a pure and elegant wine. No surprises there. Two much cheaper standouts for me in the fresh and vigorous category were Château Beaumont and Château Coufran. Both had lots of bounce and freshness. I was also struck by Château Belle-Vue, evidently very nicely handled, and the wine has good mid-palate richness. Their 2007 tasted blind one evening in Bordeaux also looked very good for the vintage. Of the Haut-Médoc crus classés west of Château Lagrange and St Julien, Château La Tour Carnet looked very full and typically forward and works well for me. I’m usually a great fan of Château Belgrave and have bought the 1996, 2000, 2005 and 2010 in the past. The sample of 2012 fell short – all upfront and too oaky on the finish. Let’s hope it settles. Château de Camensac is usually more elegant with emphasis on structure and balance. There is plenty of blackcurrant fruit here as well as appetizing sap and freshness. Grippy for sure, ‘classical’ I suppose, but overall it works pretty well. 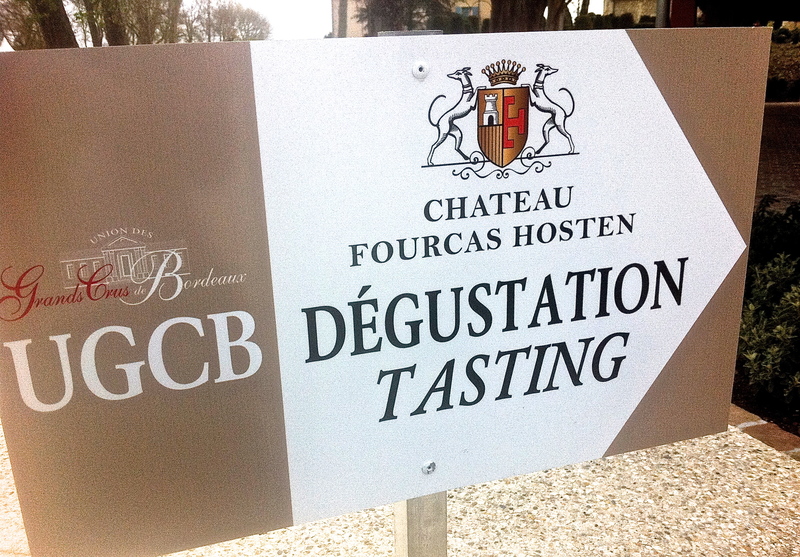 The following wines were tasted at the UGC event at Château Foucas-Hosten and at the Cru Bourgeois event at Château d’Agassac. Deep and dense; thick; integrated nose with some layers; some jam and spice; earthy note; palate quite rich but lots of oak and oak tannin. Not caressing. Tannins at the end. Overall dry, oaky finish. A disappointing showing. UGC Tuesday April 9, 2013. 84-86? The 2012 growing season was as tricky up in the northern Médoc as it was elsewhere on the left bank, with the advantage here that the blends often have a higher proportion of Merlot, the variety that succeeded in the vintage. Not that Merlot escaped entirely. One of the consequences of the very cool weather around flowering was considerable flower shatter [coulure] on the Merlot, reducing yields, although this was reported as having a positive effect on quality, increasing concentration. Nevertheless the cool and wet start to the growing season certainly led to uneven development in the grapes. Ripening did catch up with the warmer and very dry period spanning mid-July to late September, but the harvest was always going to be a late one, one that would ultimately be influenced by October’s wet weather. Nevertheless the best wines have good fruit and weight from the Merlot. For me, three wines stood head and shoulders above the rest, two with substantial resources and know-how behind them. 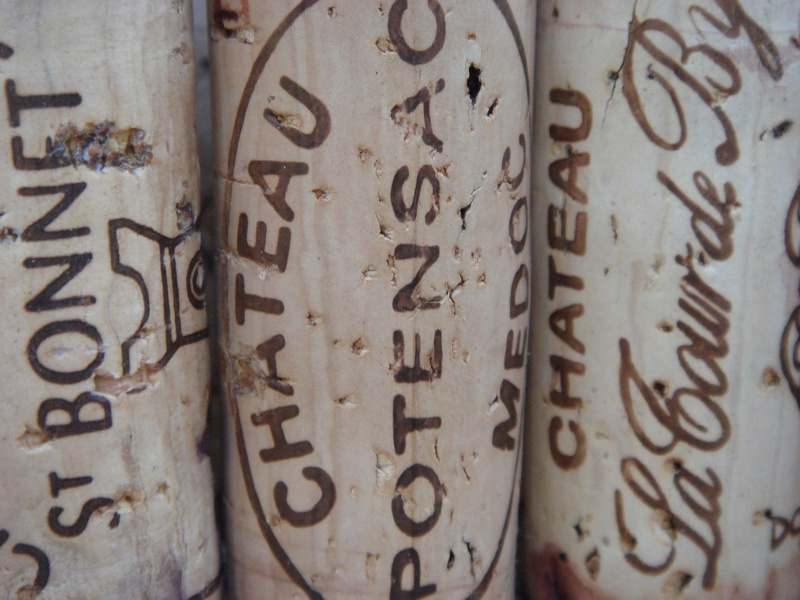 Château Potensac has produced a very fine effort in 2012 and worth considering for the price [released around £140/$225 per dozen]. La Goulée, now in its tenth vintage, looks very polished and promising from the team at Cos d’Estournel. Château La Tour de By [£110/$170 a dozen] also looked pure and nicely judged and will provide a very attractive glass of Médoc. The notes and scores on those cru bourgeois tasted at Château d’Agassac are provisional as I arrived extremely late in the day and tasted in a mad dash. Nevertheless Château Blaignan [also tasted separately], Château La Cardonne, Château Loudenne, Château Noaillac, Château Les Ormes Sorbet and Château Patache d’Aux all looked to be good-ish Médocs with sap and vigour. As you’d imagine Moulis and Listrac are fairly tight, tannic bunch in 2012. There is not the gloss here of the really great years like 2009 and 2010 when these properties provide real value. Most should settle ok. The real bright spot, as ever, is Château Poujeaux, which has crafted a very fine effort in this tricky, rain-affected vintage. Listrac has produced a chewy set of wines, but Château Fourcas-Dupré and Château Fourcas-Hosten should prove gutsy drinking. Still, with so much 2009, 2010, and even 2005, still widely available and drinking nicely, it doesn’t seem to make much sense tying up your cash in these right now. Earthy looking; some smoke, ripe and some polish here; depth, rocks and some minerals; grippy and earthy palate with density; lots of structure and grip. 60% Cabernet Sauvignon, 30% Merlot, 8% Petit Verdot, 2% Cabernet Franc. 84-86 Tasted at La Fleur de Bouard, Wednesday April 10, 2013.